Were you seriously injured at a Miami Walmart Neighborhood Market? If so, then you should call the Miami personal injury lawyers at the Wolfson Law Firm. After your doctor, your choice of an attorney will be one of the most important decisions that you make. Most people go through life without being injured in a supermarket. But when you are injured in a grocery store such as Walmart’s Neighborhood Market then you want to find the best Walmart accident attorney to get the information and advice that you need. Our Miami accident attorneys are available 24/7 at (305) 285-1115 and we offer free consultations. In Florida, Walmart employs more than 107,000 associates. It has more than 370 retail units in the state. Of that number approximately 90 are Neighborhood Markets. 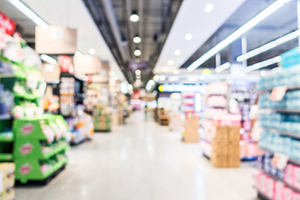 Walmart sought to compete with other supermarkets by opening standalone Neighborhood Markets to go along with the groceries offered at 229 Florida Walmart Supercenters. If you were injured in any Walmart store, you should not expect Walmart to simply give you money because you were hurt. You will need to prove that Walmart is responsible for your injuries and accident. In addition, you will need to prove the extent of your injuries as well as the amount of your medical bills and any wage loss claim. In short, just as in court, you will have the burden of proof to show that Walmart was negligent and that you are entitled to full, fair and complete compensation. At the Wolfson Law Firm, our Walmart accident lawyers in Miami are here to help you if you are injured at Walmart Neighborhood Market or Walmart supercenter in Miami – Dade County. Since 1963 our Miami accident lawyers have represented and guided accident victims in South Florida. We offer you a completely free and confidential consultation if you are injured in any type of accident. Just call us at (305) 285-1115 and let us get to work for you right away.